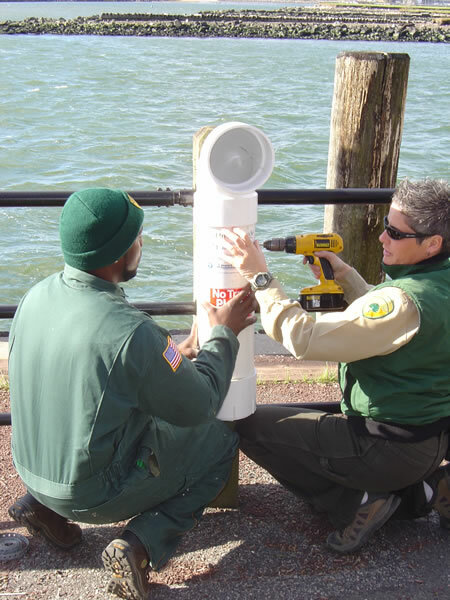 Above: Liberty State Park maintenance staff Andrea Newman and Kejaun Griffin preparing the recycling bin prior to installation. 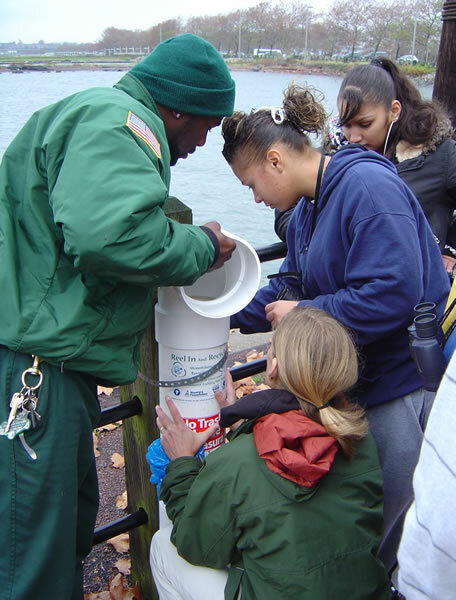 Above: Students from Hudson County School Of Technology help Kejaun Griffin install one of the two recycling bins at the park. 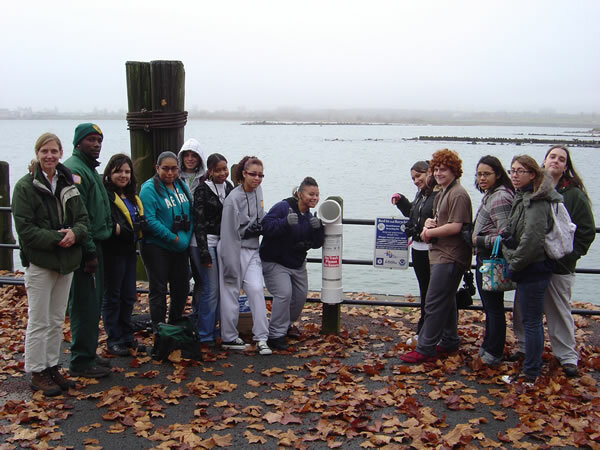 Above: Students from Hudson County School Of Technology with one of the new recycling bins.